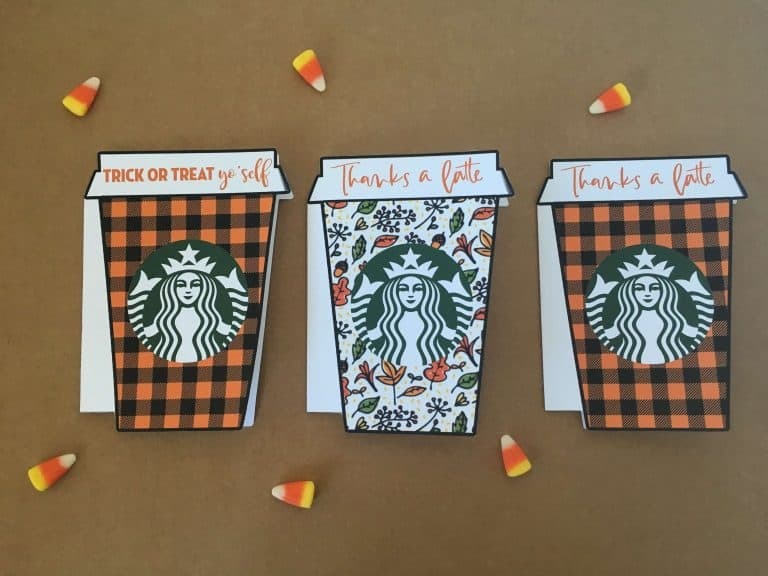 After sharing a “Thanks a Latte” Starbucks gift card holder recently I’m now happy to share with you another gift card holder inspired by this lovely fall season, inspired by Halloween to be even more specific: Free Printable “Trick or Treat Yo’Self” Starbucks gift card holder. Gift cards are great to give and to receive. They’re perfect for many occasions (thank you, birthday, holidays, teacher appreciation day, apology, get well, etc) and many different types of recipients. Perfect to make a gift to a neighbor, gift to a co-worker, gift to a teacher or just a random act of kindness! That’s why I’ve decided to created several types of gift card holders for different occasions and different types of gift cards. This way, you’ll be able to make your gift card a little more personal (with space to add a little note) and more memorable. I’m sure your gift recipient will appreciate your attention to details. 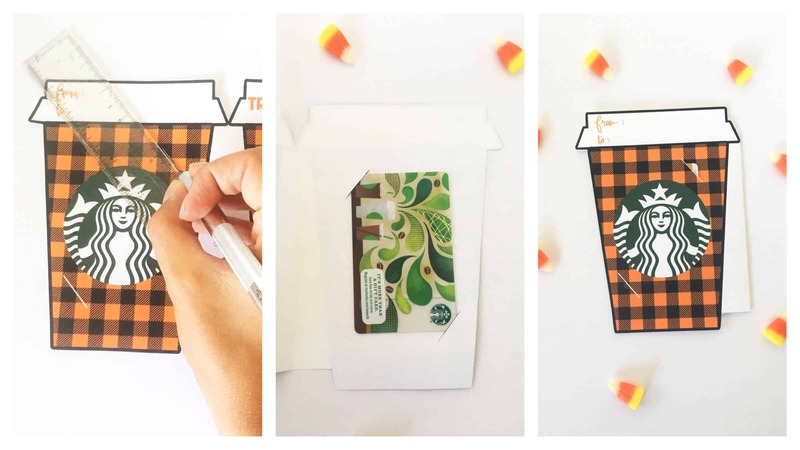 Today’s free printable is perfect to offer a Starbucks gift card during fall: Fall “Trick or Treat Yo’Self” Starbucks Gift Card Holder. 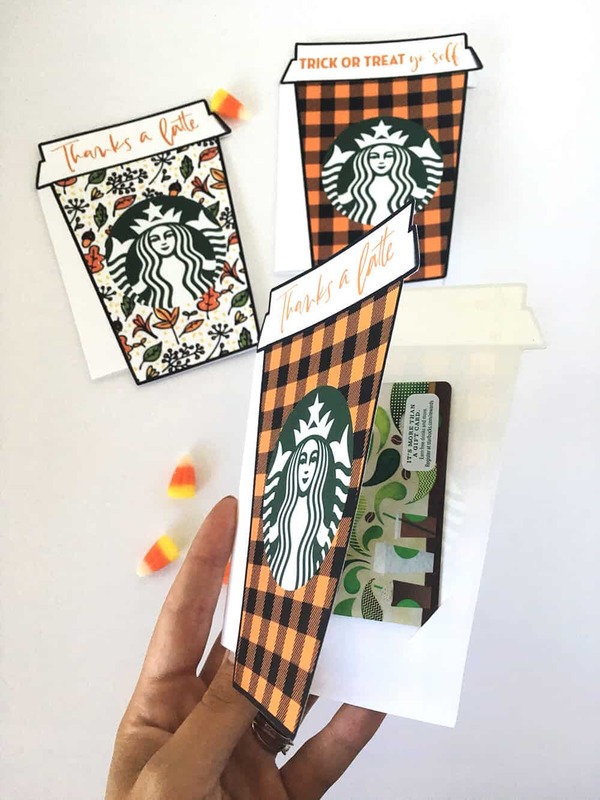 I’m sure there is many Pumpkin Spice Latte lovers out there so this fall Starbucks gift card holder will be perfect to surprise them! 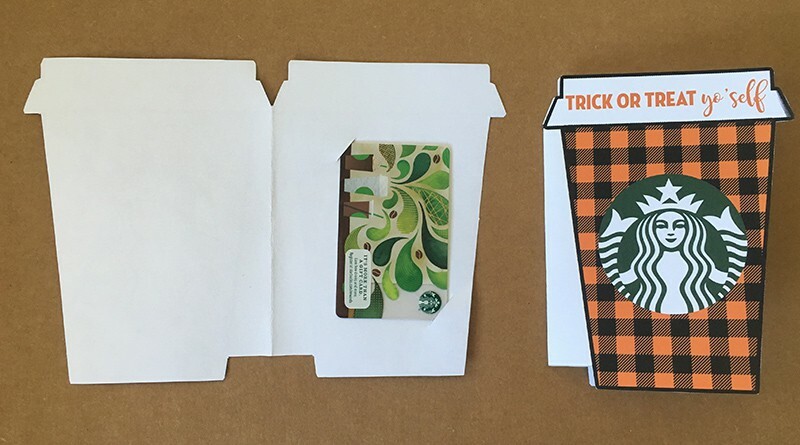 And here’s a gif to show you what your Starbucks gift card holder will look like once printed and assembled! (note: the one in this gif says “thanks a latte”- you can get it here– but you get the idea). there is 2 little cut lines for you to easily insert your gift card inside the card. 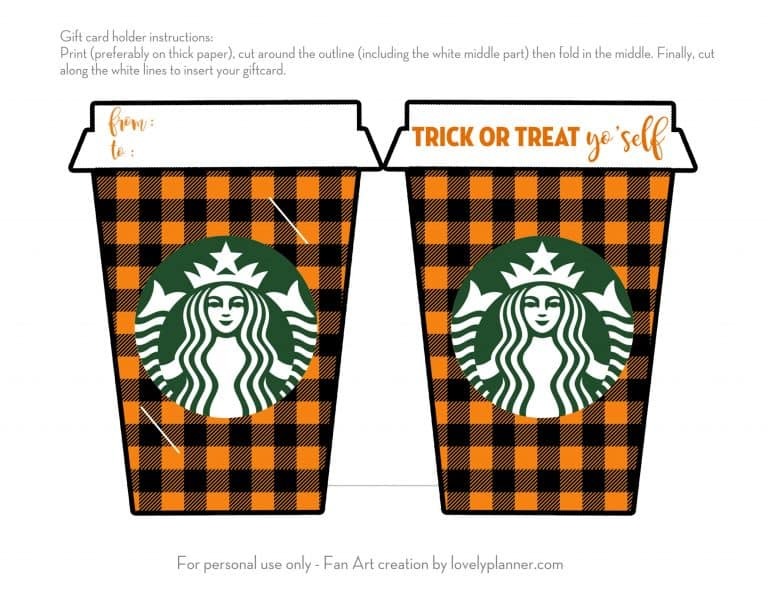 Please note that I am in no way affiliated with Starbucks, this free printable is merely a fan art creation for other Starbucks lovers out there. Cut around the outline, including the white rectangle between both cups, you should only get one big cut. 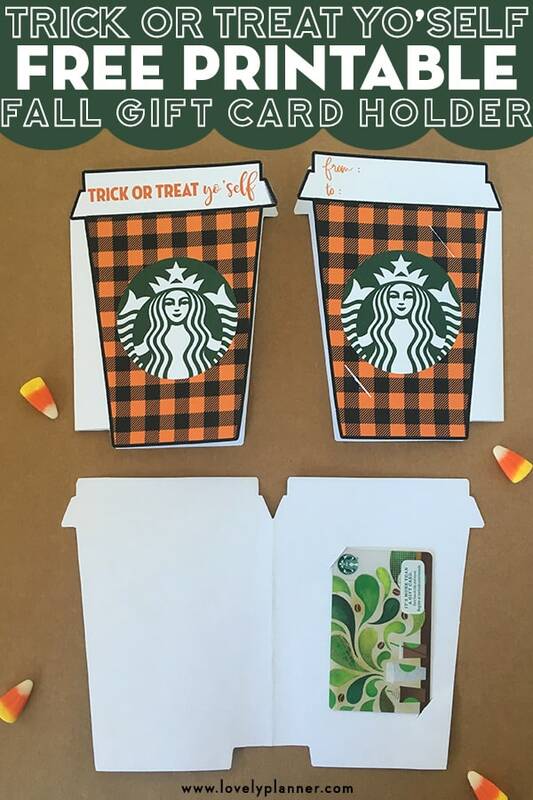 Do not cut the 2 cups individually, they’ll form both sides of your card. Fold your card in the middle so that both cups nicely line up. Finally cut along the white lines to create slots to place your gift card inside your card. You can then add a little note inside and fill “to” and “from” fields in the back of the card! And here’s the result you should get! The good news is that I’ve already prepared a few other Starbucks gift card holders for fall and christmas. 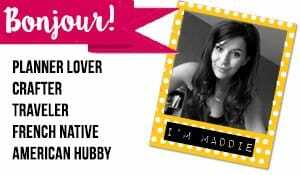 I’ll be sharing them soon! Important: Please note that I am in no way affiliated with Starbucks, this free printable is merely a fan art creation for other Starbucks lovers out there.